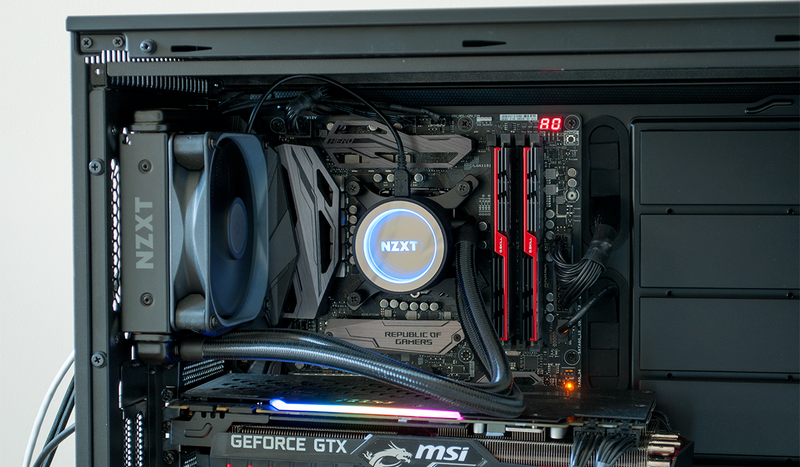 Want to build an eye-catching rig with high-end liquid cooling that's easy as pie to install? 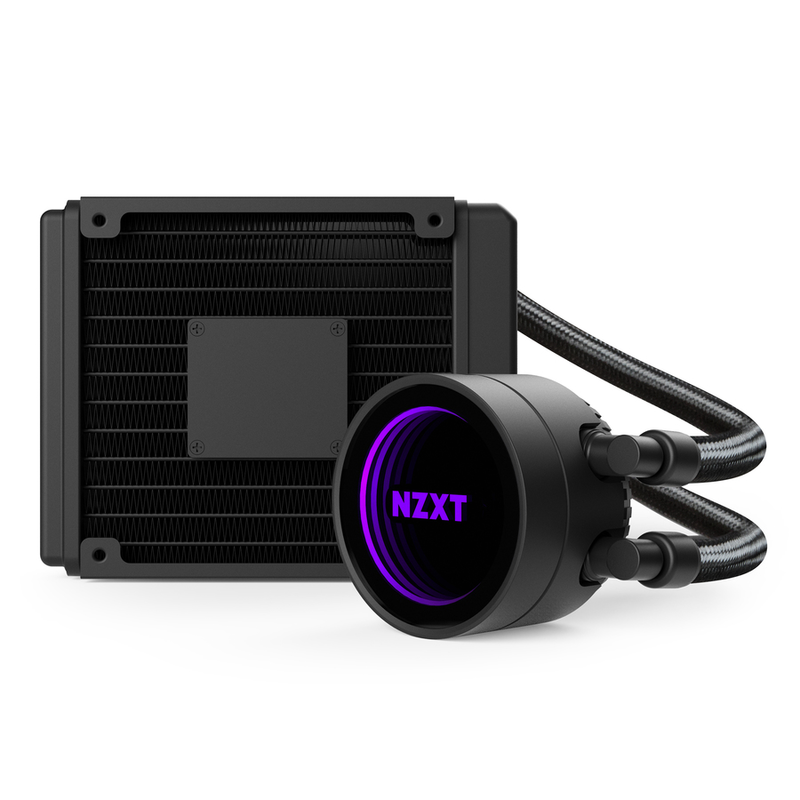 You should probably have an NZXT Kraken on your shopping list. We described the Kraken X52 as "the best-looking all-in-one CPU cooler that money can buy" in our review back in late 2016, but there is a catch in terms of pricing. Kraken coolers tend not to come cheap, with even the smaller 140mm X42 fetching £110 at retail. 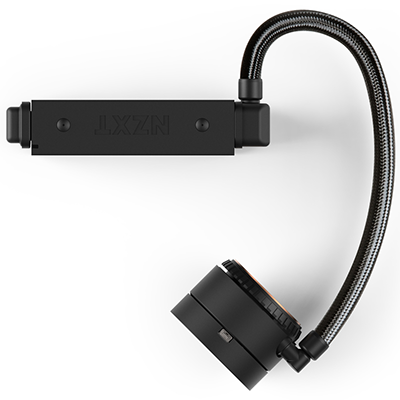 NZXT wants to appeal to a wider range of users, hence the introduction of the Kraken M22. Priced at £90, the new baby of the Kraken line offers the same eye-catching pump design in a widely compatible form factor for those seeking modest liquid cooling and minimal hassle. But hold on, £90 still sounds like a lot of money for a small all-in-one cooler, and a quick look at retailer listings confirms our suspicion. Kraken X42 is the priciest single-fan solution on sale at Scan Computers, and though the new M22 is cheaper, it slots in as the second most expensive offering in over two-dozen choices. 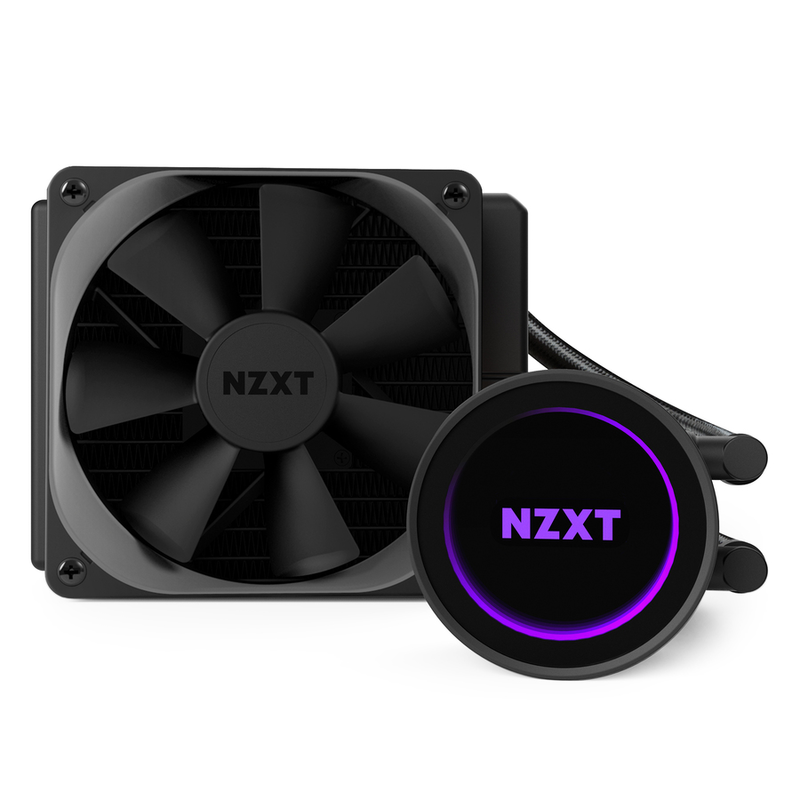 It is by no means cheap - you can pick up a 240mm cooler for less money if you shop around - and there's clearly a premium still attached for NZXT's handsome pump. And handsome it is. We're not usually fond of superfluous lights, but we'll be the first to admit that the RGB ring that shines through the pump's mirror-finish top is really quite lush. 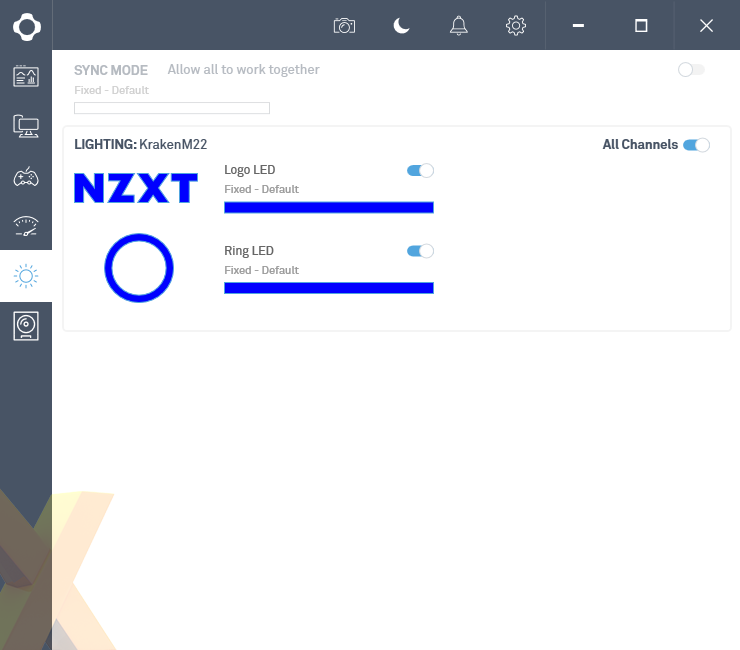 The backlit NZXT logo is similarly elegant, however it's a shame the text can't be modified - we can only imagine what it would do to cost, but wouldn't it be grand to have the option to display, say, your clan tag? 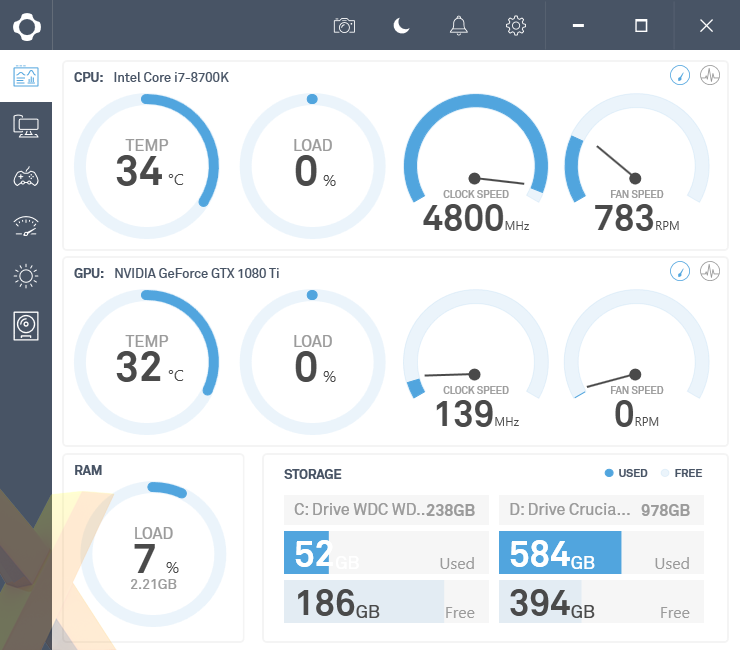 Or perhaps even live CPU temperature? The M-Series is about keeping costs down, mind, and to that end the M22 shaves a few of the features available to X-Series equivalents. There's no longer any built-in fan control or liquid temperature monitoring, limiting the amount of customisation on offer from the CAM software utility, but the loss of certain features is offset by a streamlined profile with fewer cables jutting out of the pump. Build quality remains of a high standard - as far as we can tell the M-Series cooler employs all of the same construction materials - and the form factor is for the most part familiar. 400mm of nylon-sleeved rubber tubing connects the 152mm x 120mm x 32mm radiator to the circular water block, whose copper contact plate comes with a neat layer of pre-applied thermal paste. 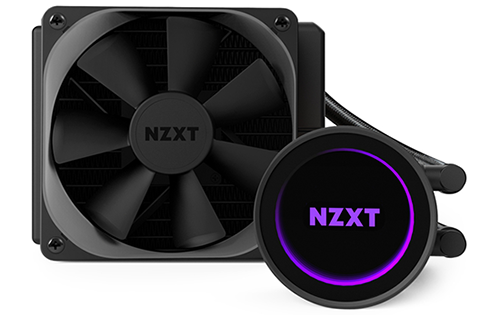 There's no spare paste in the bundle, mind, and while NZXT's premium X-Series coolers are compatible with Threadripper, the M22 is designed to work the latest Intel and AMD sockets but not TR4. A four-pin, high-static-pressure Aer P120 fan is included but what's peculiar is the cabling arrangement. One criticism of original X-Series models was that the multiple cables emanating from the pump created too much clutter. 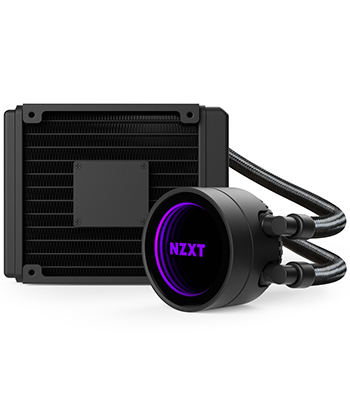 Taking this feedback onboard, NZXT has internally routed the three-pin pump header to a plate on the back of the radiator, from which a cable then connects to the motherboard. True, this arrangement does result in a tidier water block, but that plate surely can't be doing radiator airflow any good? Despite the change, cabling still isn't as seamless as we'd like. 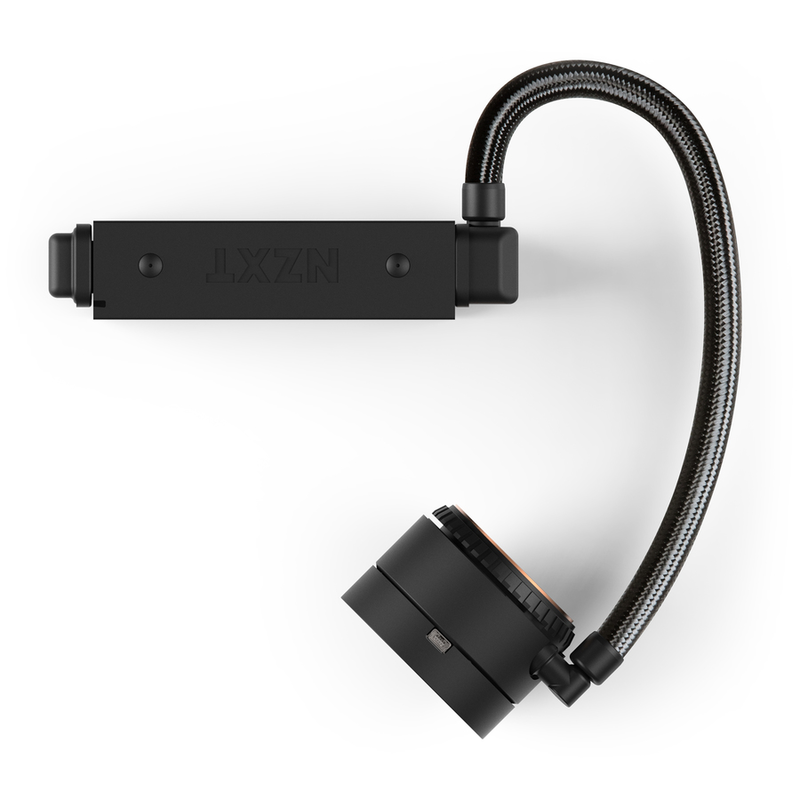 Kraken M22's software customisation options continue to require a USB connection, and the cable protruding from the top of the water block detracts from the overall finish. It's still an extremely pretty cooler, but that one cable keeps it looking good rather than great. M22 will function as a cooler without the USB cable attached, but you'll lose out on lighting, which kind of defeats the purpose. Installation on our Intel Z370 test platform proved straightforward, with NZXT adopting the usual all-in-one approach of a backplate on the rear of the motherboard and four standoffs to which the water block is fixed. 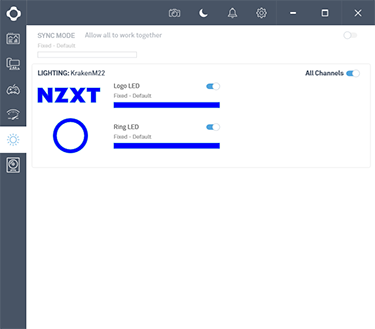 This is a cooler even a novice could install, and should you bore of the default blue lighting, the free-to-download CAM software companion is easy to use and quick to navigate. 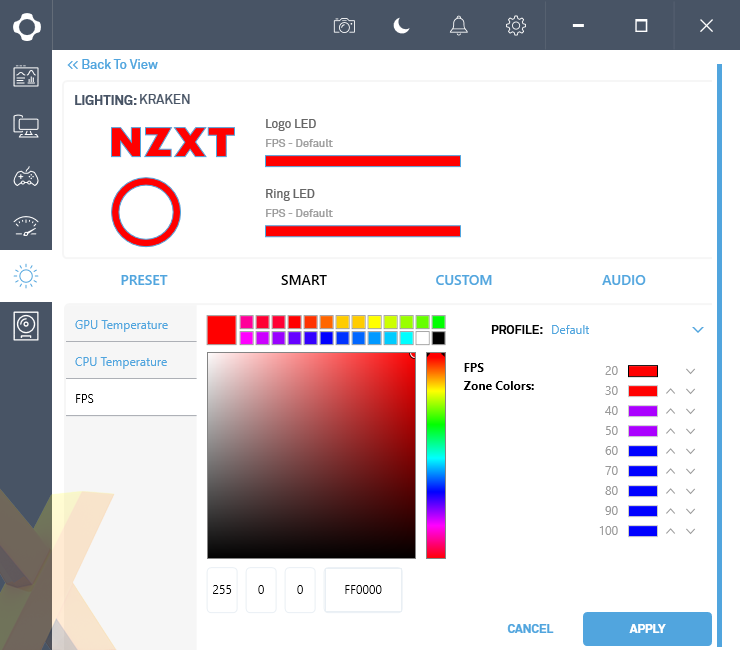 Both the logo and ring LEDs are individually controlled with multiple effects to choose from and we particularly like the ability to have the colour react to CPU temperature, GPU temperature or even FPS. One other important change to be aware of is that the M-Series cooler is backed by a three-year warranty, as opposed to six years for X-Series equivalents. This is the first 120mm all-in-one to enter our labs in quite some time, and the first to be tested on our new Core i7-8700K platform, so with all the preamble out the way let's see how the M22 fares when tasked with cooling said chip overclocked to 4.8GHz on all cores.